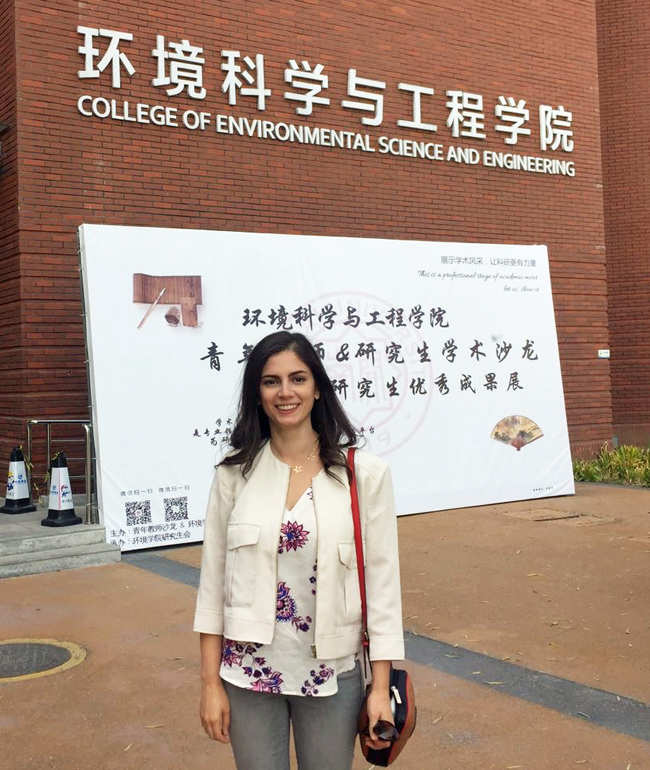 Julia Diaz recently returned from a visit to Nankai University in Tianjin, China, where she gave a guest lecture and an invited talk. Julia was invited by a Nankai University faculty member who had been a colleague when they were both post-docs at Woods Hole Oceanographic Institution. She visited Beijing and the Great Wall of China. The project was directed by Molly and Owen Riggs from the Abercorn Street store. The couple said they have done annual projects around town including the Ronald McDonald house but this year wanted to look around for a new recipient. The work was completed over two days by 15-20 volunteers from the store. 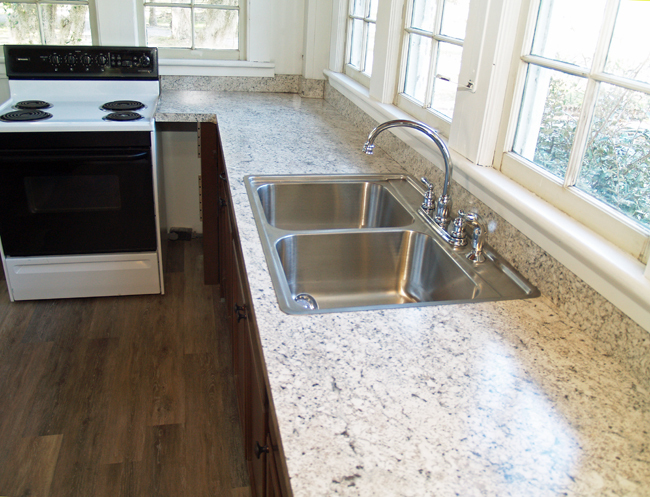 Materials were all donated by Lowe’s, the project was free for Skidaway Institute. 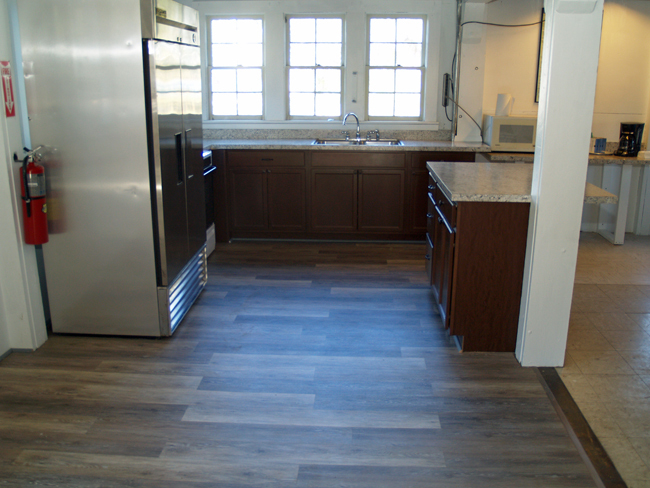 The team replaced the kitchen cabinets, counters, sink and installed new vinyl flooring. Upstairs they installed lauan plywood to the railing to screen from below. They also replaced the flooring in the bathrooms as well as new toilets and vanities. The volunteers also added a fresh coat of bright white paint on the downstairs walls that brightened up the room. 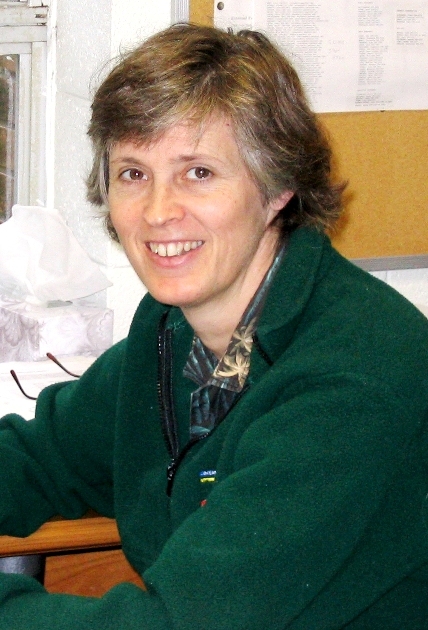 Jay’s presentation focused on how marine debris and associated plastic contamination of the marine environment has become an ever-increasing source of concern for scientists and the public. Over the last decade, focus has been placed on the issue of microplastics and their impacts upon the environment. 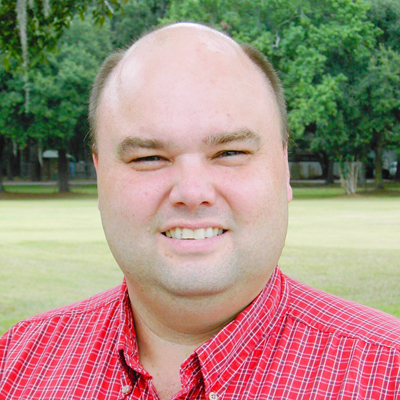 Jay and his colleagues, including Dodie Sanders from Marine Extension and Georgia Sea Grant, and UGA grad student Jacob Mabrey, have begun a preliminary assessment of the distribution and types of microplastic contamination in Georgia’s estuaries, biota and sediments during the last 2 years. While microplastics are ubiquitous in the environment, their distribution is very patchy,, providing some clues regarding both sources and loss mechanisms. 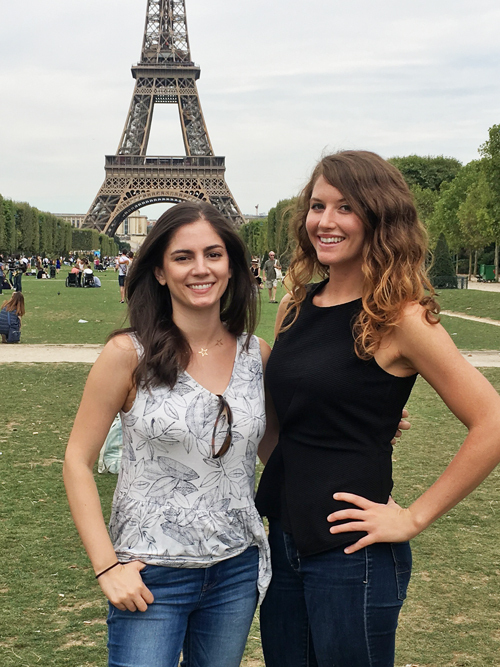 Skidaway Institute was well represented at the Goldschmidt Conference in Paris in August. Jay Brandes, Julia Diaz, Cliff Buck and Sydney Plummer participated in the annual, international conference on geochemistry and related subjects, organized by the European Association of Geochemistry and the Geochemical Society. Julia Diaz and Sydney Plummer pose by the Eiffel Tower. Jay was a co-convener of the session: “Tracking carbon from source to sink in modern and ancient environments: the carbon cycle in coastal environments, stable carbon isotope systematics, and the role of photochemical reactions.” His fellow conveners were Jaime Toney, Christian Schröder, Anke Neumann, Songhu Yuan, Leanne Powers (former SkIO post doc), Ying Cui and Xiahong Feng. Jay was the lead author on one poster presentation and co-author on another with Leanne Powers, Kevin Ryan, Aron Stubbins and Bill Miller. Julia had four presentations and was a keynote speaker. Cliff gave an invited talk and he was a co-author on another. 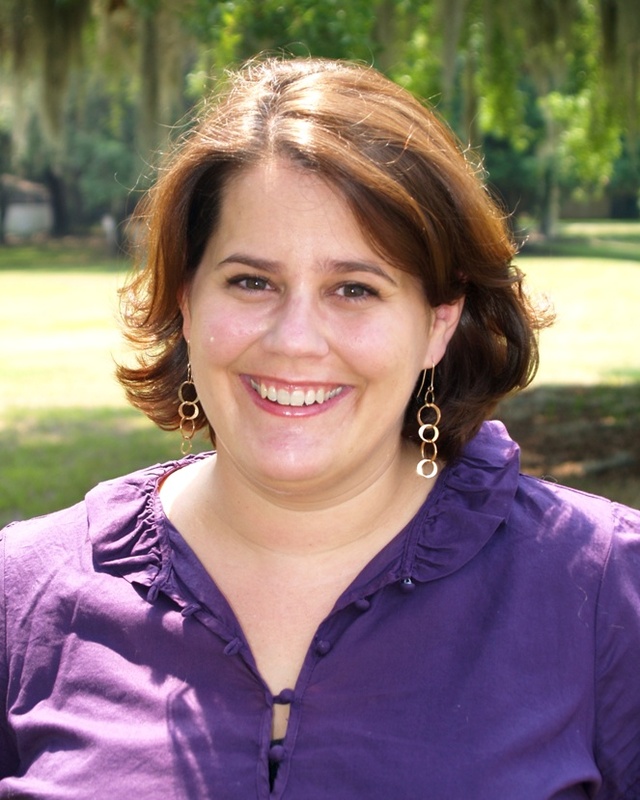 Two Skidaway Institute faculty had papers accepted for publication recently. IEEE Proc. Workshop on Underwater Networks (WUWNet) 2017, accepted Oct. 12, 2017. 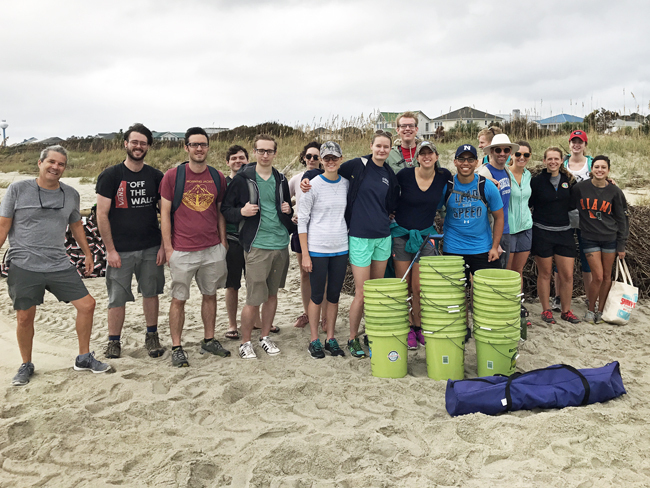 Grad students from both the Skidaway and Athens campuses teamed up with volunteers from Marine Extension and Georgia Sea Grant to clean the beach at Tybee Island and to assist with a dune restoration project. The project happened during a “bonding weekend” in late September. 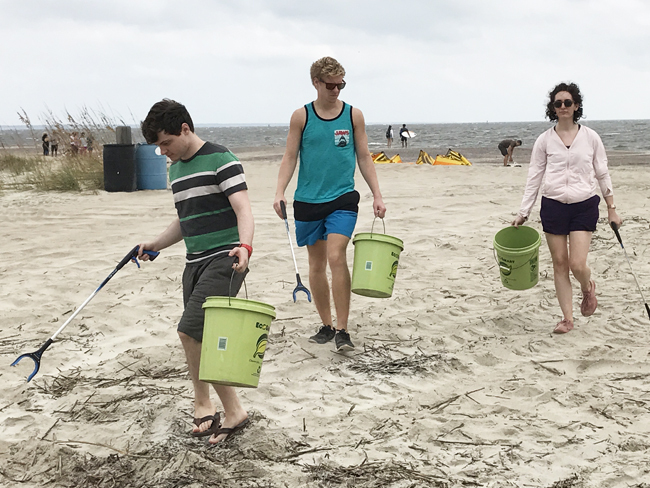 The students coordinated a beach clean-up with the Tybee Clean Beach Volunteer group. Once there, they also joined forces with the Tybee Beach Task Force that had a dune restoration project at the North Beach. This included putting up dune fencing, placing wrack and planting vegetation. The students’ specific jobs were to clean the beach and wrack. 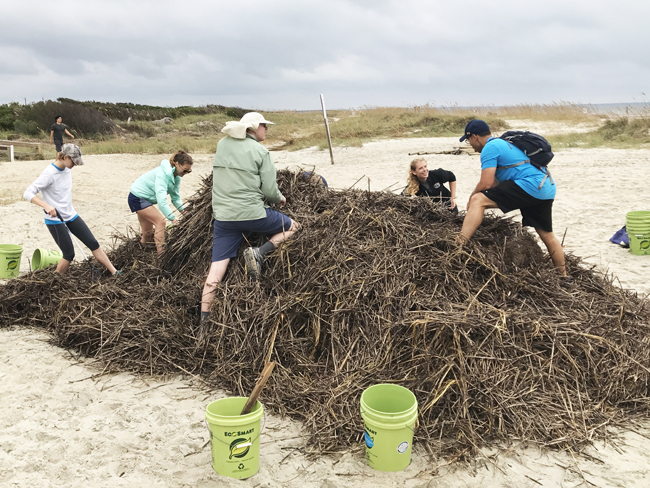 The students also recorded more than 500 pieces of very small pieces of plastic and styrofoam that were broken up and sprinkled throughout the wrack. This is the fifth year that ONMS has recognized outstanding achievement in the fields of interpretation and environmental education. 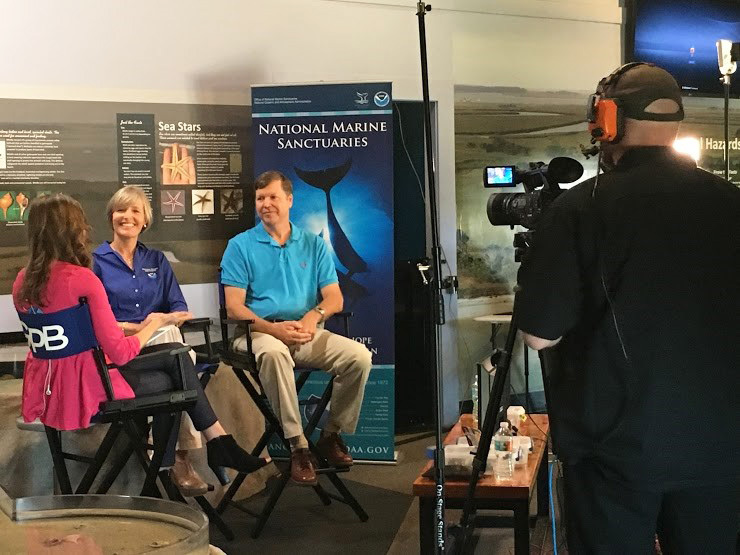 This annual award is given to employees, contractors and volunteers for their demonstrated success in advancing ocean and climate literacy and conservation through national marine sanctuaries, as well as for their innovation and creative solutions in successfully enhancing the public’s understanding of the National Marine Sanctuary System and the resources it protects.